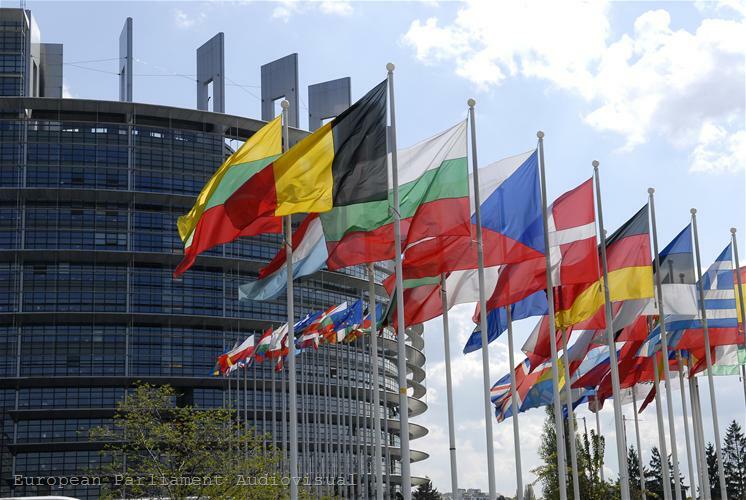 Hours before the informal European Council meeting on 23 May, the European Parliament adopted its position on the introduction of a Financial Transaction Tax (FTT). Although the parliament has only a consultative role on the issue, lawmakers expressed hope it would give a strong signal to the EU leaders to agree on FTT introduction. And if this is not possible, the tax to be introduced in a maximum number of countries on the principle of enhanced cooperation. However, the parliament warned that "introduction of FTT in a particularly limited number of Member States could lead to a significant distortion of competition in the internal market". What did the European Parliament adopt? 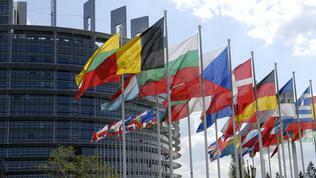 The parliament adopted several amendments to the EC proposal aiming for a maximum extension of the tax scope. The residence principle proposed by the EC (transaction parties to be established within the EU) is supplemented by the issuance principle (when the traded instrument is issued in the FTT area) and the ownership principle (a financial transaction which has not been FTT levied shall be deemed legally unenforceable). According to the parliament that will make evading FTT potentially far more expensive than paying it because the risk is expected to outweigh any potential financial gain from evasion. "Including the widest possible range of financial instruments and actors should also ensure that the tax burden is equally spread among all actors but relatively higher on more speculative and more disruptive financial transactions," the resolution states. According to the parliament, that result would not be achieved by implementing the so called ‘stamp duty’ (existing in the UK), as some MEPs insisted during the debates. The parliament retains the tax rates proposed by the Commission (0.1% for shares and bonds and 0.01% for derivatives). Member States are allowed to apply higher rates at national level. During the discussions, held both in Parliament and the Council of finance ministers, there were fierce debates on the issue whether pension funds should be exempted from FTT. Some representatives argued that there was a risk ultimately the tax burden to fall on pensioners, rather than on banks. Others, including the Commission, stated that if pension funds used conservative and stable business models they would not suffer from the introduction of the tax. Eventually, the parliament decided that pension funds should be exempted from the FTT. Another controversial point is how to use the tax revenues which, according to EC estimates, will be about 57 billion euros if the FTT is to be introduced across the EU. In the Commission's proposal for the Multiannual financial framework for the years 2014 to 2020 it is provided part of the revenue from FTT to be used as own resources in the EU budget or be directly linked to specific Union policies. One of the Commission`s arguments is that it would reduce national contributions to the Union budget. However, there is no agreement on the matter neither in Parliament nor between the member states. During the debates in the EP it became clear that while the Socialists and Greens were unanimous in their view that FTT should be introduced at any cost and used as own resource in the EU budget, MEPs from the largest group – of the European People's Party - expressed divergent opinions. Liberals in turn argued strongly against the tax. What do the member states think? During the latest discussion on the FTT in the Council of Ministers it became clear that reaching consensus on FTT adoption at this stage is impossible. The main reason is the unwavering opposition of Britain, although other countries opposed the tax as well. Therefore, the Danish EU Presidency has committed to prepare "alternatives", including the option for a financial activity tax. German Finance Minister Wolfgang Schaeuble set a deadline for reaching an agreement on the introduction of the tax at European level by the end of the Danish Presidency (30 June). 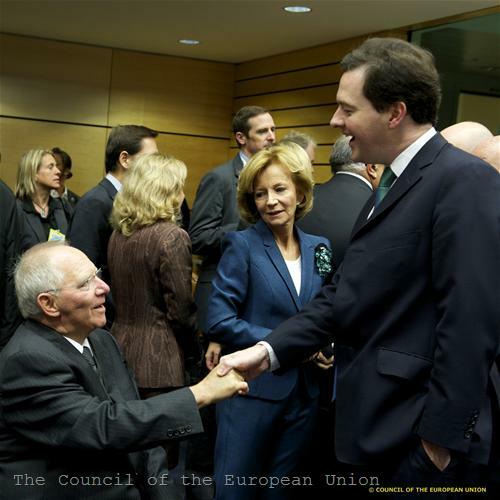 Then we must look for alternatives, Schaeuble said. The desire of France and Germany is the tax to be introduced at least in the euro area in the form of enhanced cooperation. At this stage, however, only nine countries (France, Germany, Italy, Belgium, Austria, Finland, Spain, Portugal, Greece) have expressed their willingness. This is enough to make an enhanced cooperation under the Lisbon Treaty, but not enough to ensure that there would be no distortion of the internal market. Countries like the Netherlands, Ireland and Italy have expressed serious objections to the FTT and insisted on further studies of the effects of its introduction. Many countries have linked their position on the FTT`s introduction with the question of the use of its revenues. In some countries view, money should remain in the national budgets and not be distributed between them and Brussels, while the Commission’s proposal, strongly supported by some MEPs, is part of the revenues to be used as own resources in the EU budget. Bulgaria's position on FTT has evolved in a very curious way – from unambiguously and entirely against to full support. In the autumn of 2011 the Bulgarian parliament issued a position that the introduction of the tax would deprive the country (and the EU as a whole) of competitive advantages and would increase the tax burden on citizens and businesses in the EU. The Finance Ministry has also repeatedly voiced against the FTT. In the winter of 2012 euinside learnt that the Bulgarian position was softened and was no longer so firmly against the FTT. Despite our attempts to get an official answer whether that was the case, the Ministry of Finance remained silent. 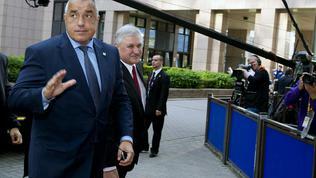 Subsequently, it became clear that the change was rather a supplement, expressed as follows: if a decision were taken the FTT to be used as own resource for the EU budget, Bulgaria would not oppose. However, this should not be perceived as if the country supports the introduction of the tax, we`ve been told. 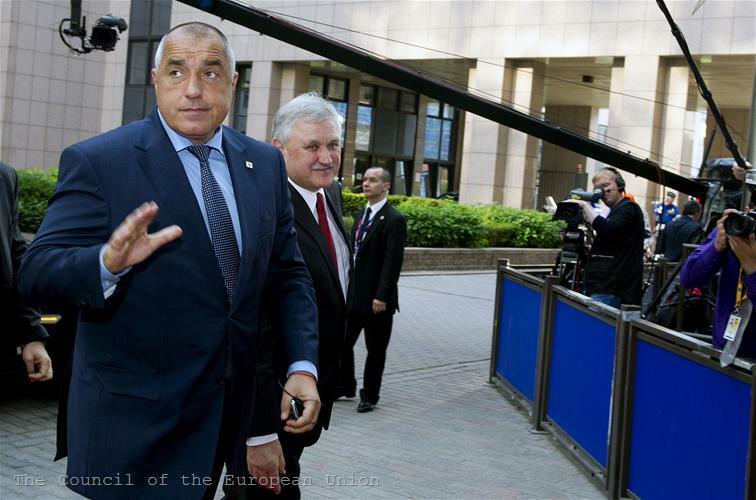 This was the case until 23 May, Bulgarian Prime Minister Boyko Borissov, when arriving in Brussels to participate in the informal European Council meeting, announced that Bulgaria not only supported the tax, but "applauded" its adoption, although the government's position has always been against the introduction of new taxes. Thus the camp of FTT opponents decreased by another country. But even only London`s opposition is sufficient, because its adoption requires unanimity. Given the experience of last December, when it was the British veto that forced the other countries to resort to an intergovernmental agreement to tighten budgetary discipline, we should not have doubts regarding UK's determination to block the FTT. Moreover knowing the UK`s sensitivity with regard to the financial sector regulation, which namely led to the contention last December. Therefore, at this stage it is difficult to predict the FTT`s fate so we are waiting to see what lies behind the enigmatic word "alternatives" to make the contested proposal easier to swallow.